c. Creating new links between their activities to create a ‘KIC Platform’ focusing on the Blue Economy. The study and other relevant details are available online from the European Commission. Please click here. "To ensure a sufficient budget for current and future KICs, 5 KICs will be launched over the programme period in 3 waves. The timing and themes for the three waves will be detailed in the Strategic Innovation Agenda. 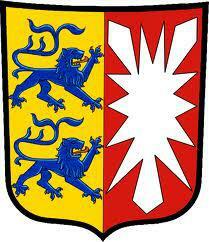 The themes for the first two KICs in 2014 will be 'Healthy living and active ageing' and 'Raw materials'. The themes for the second two KICs in 2016 will be 'Food4future' and Added value manufacturing' and the final theme for 2018 will be 'Urban mobility'. There will not be a KIC in 'Smart secure societies'. As the list of themes is closed, there is no requirement for a further co-decision process." There are ongoing discussions in late 2013 and early 2014, which may see a MarineKIC Initiative being revived in the context of future planning. All concrete developments will be reported on this website. What Role for a MarineKIC? At this year’s European Maritime Day a MarineKIC Initiative session was held in the largest hall in Valletta’s conference centre. The session, entitled “What role for a marineKIC in Europe?”, attracted over 75 participants that heard four distinguished speakers and two discussants consider the opportunities and challenges associated with goal of realizing an integrated marine KIC under the EIT. Pending the final EU decision, the MarineKIC Initiative session kicks-off a public debate about the possibility of a MarineKIC under the European Institute for Innovation and Technology (EIT). A MarineKIC has the potential to be a unique commercial venture to support blue growth in regions across Europe based on the best education, research and technology, while preserving or even enhancing the environmental quality of the seas and oceans. The speakers will present their expectations of what a MarineKIC could deliver. At the invitation of DG Mare a lunchtime conference was held to present and discuss the MarineKIC Initiative on March 1st. Jan-Stefan Fritz presented the current developments in the initiative and ideas for possible next steps. Approximately 30 people from DGs MARE, EAC and RTD attended along with a few interested stakeholders. On February 5th, Francis Vallat, Chairman of the European Network of Maritime Clusters, called for the set-up of a MarineKIC in his keynote address to the Euromaritime trade fair. 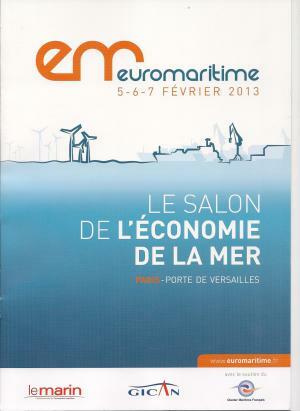 Euromaritime is a new event with the goal of developing a truly European inter-sectoral maritime trade fair. This first edition attracted 180 exhibitors on an exhibition area of over 6000 square metres. At the invitation of the Conference on Peripheral Maritime Regions (CPMR) a workshop was held on the role of marine and maritime RTD in boosting blue growth. Jan-Stefan Fritz was invited to present the MarineKIC Initiative. The workshop was moderated by Damien Perisse (CPMR) and speakers included Waddah Saab (European Commission), Mark Healy, MARINET Project Coordinator (Ireland) and Gilles Lericolais, Ifremer (France). A particularly interesting presentation was given on the MARINET project (see www.fp7-marinet.eu), which is an EC-funded network of institutions that are working together to accelerate the development of marine renewable energy technologies - wave, tidal & offshore-wind. To this end, the project not only offers periods of free-of-charge access to their world-class testing facilities, but also conducts joint activities in order to standardise testing, improve testing capabilities and enhance training and networking. Overall, about 70 people attended the workshop, including many representatives of SMEs. Of these, many are looking to develop new products, but require access to basic research (e.g. on environmental consequences) and/or test facilities within Europe to do so. The full interview can be accessed online here. A pdf-version can be downloaded here. In line with the Partial General Approach adopted by the Permanent Representatives Comittee on December 3rd, the EU's research ministers agreed on December 11th to a two-stage call process whereby the call held after 2017 would take into account new and unforeseen challenges which may arise. According to the agreement, the Commission is invited to submit a proposal to amend the current Decision and to define the specific KIC themes that will be launched after 2017. That decision will follow the so-called 'ordinary legislative process'. For details of the agreement click here. On 28 November, the European Parliament’s research committee (ITRE) almost unanimously adopted a set of amendments to the Horizon2020 package, which includes the regulation on the EIT and its Strategic Research and Innovation Agenda. The committee agreed to fund two waves of KICs. It proposed that 4 out of a list of 5 topics (raw materials, healthy living and active ageing, urban mobility, food4future as well as manufacturing) be considered in a 2014 call. All topics for a second wave of KICs starting in 2018 should be decided by the EIT Governing on the basis of an open and competitive process. The topics "marine" and "sustainable use of the seas" were explicitly mentioned as possible topics for the second wave. Since the decision was almost unanimous, it is not expected that any substantial changes will be made during the vote in the EP Plenary, which is scheduled to take place in spring 2013. The agreement struck in the Council at an ambassador-level meeting (COREPER 1) followed very similar lines. The Committee proposed that 3 topics (raw materials, healthy living and active ageing as well as food4future) be included in the 2014 call and that a second call should be decided on the basis of an ordinary legislative decision. This decision opens up the possibility of launching a MarineKIC in the second wave in 2018. This proposal will be voted on by EU research ministers at their meeting on 11 December. Neither decision is so far binding. The adoption of the final legislative text still depends on the outcome of a compromise between Parliament and Council as well as the results of the all-important budget negotiations. Nevertheless, in both standing proposals, there is an open door for a MarineKIC. The University of Gdańsk is recognized as the leading Polish marine university. It has significant marine scientific and educational capacities, not only in the natural sciences (e.g. the Institute of Oceanography), but also in marine Economics, Sociology and Law. 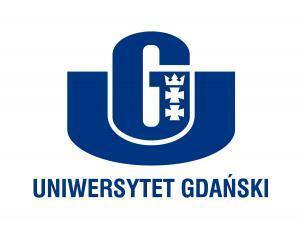 For more information on the University of Gdańsk, please click here. For more information on the Institute of Oceanography, please click here. 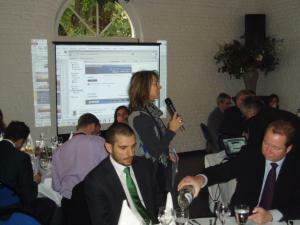 On October 29th, 47 people participated in a lunch-briefing hosted by the MarineKIC Initiative. Intended for members of the Council Working Party on Research, the event presented the MarineKIC Initiative and supported calls for future KIC topics to be chosen by the EIT on the basis of a rigorous, transparent and competitive process that takes into consideration bottom-up approaches and the evolving societal challenges landscape in the EU. The European maritime economy is estimated at approx. 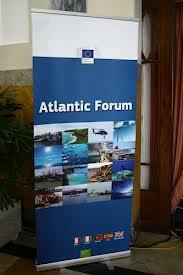 €495 billion annually, thus providing millions of jobs to coastal regions across Europe. Studies show that those maritime activities with the highest growth prospects are particularly knowledge and technology intensive. However, these same activities are often carried-out by small companies, spin-offs or suppliers which are unable to control the value chain. The MarineKIC Initiative argues that an integrated marine KIC offers a unique means of linking upstream and downstream activities across the whole of Europe to strengthen, in particular, new maritime economic sectors. The event was moderated by Karl Almas, CEO of SINTEF Aquaculture Ltd, and speakers included Eleni Marianou, Secretary General of CPMR; Eoin Sweeney, Marine Institute of Ireland; Emilio Fernández Suárez, Director, Campus Do Mar, Spain and Portugal as well as Damon Teagle, Deputy Director, Southampton Marine and Maritime Institute, UK. On September 20th the proposal to include an integrated marine topic in the Strategic Innovation Agenda of the EIT passes a first small, but important hurdle when the European Parliament’s Committee on Culture and Education voted to adopt its Opinion regarding the Decision on the EIT’s SIA. MEPs Malika Benarab-Attou (France) and Helga Trüpel (Germany) proposed one of the amendments that was adopted, which requests the EIT to select future KIC topics taking into account economic sectors that fulfill the topic evaluation criteria, but are not yet on the list of topics to be funded. The assessment of the themes proposed in the EIT draft as well as by the wider stakeholder community clearly showed a certain degree of variation regarding potential impact the establishment of a KIC would offer. As a result, a number of themes were discarded entirely; others were redefined in order to better respond to the specificities of the European and global context in this area. The regular assessment of the evolution of research potentials and the possible emergence of new innovation dynamics should be taken into consideration for future KICs in sectors that are not yet considered but fulfil the given criteria (as for instance in the maritime field). On September 21st the Governments of Portugal and the Azores, together with the European Commission, hosted a meeting to discuss the preservation and exploitation of coastal and deep-sea natural resources. Representatives of industry, governments and research institutions discussed the various challenges and opportunities of exploiting and protecting resources from the sea. 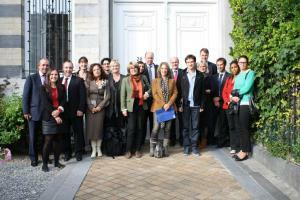 Portugal used the meeting to stress its support for the development of a Marine KIC. Joao Fonseca Ribeiro, Director-General of Maritime Policy in Portugal, and MEP Maria do Céu Patrão Neves both highlighted the need for targeted investments in new maritime business opportunities. The conference provided a valuable opportunity to hear industry views on the opportunities and challenges of developing new maritime economic sectors, such as marine robotics, biotechnology and mining. To see the presentations on video, please click here. A prosperous and competitive maritime economy is profoundly important to the future development of coastal regions across Europe. Against this background, the Conference of Peripheral Maritime Regions (CPMR) and the Regional Representation of Schleswig-Holstein and Hamburg (Hanse Office) invited over 30 regional representatives to a discussion with the Marine KIC Initiative on September 19th. President of Skane Regional Council in Sweden, Annika Annerby-Jansson, and Hanse Office Deputy Director, Thomas Engelke, kick-started the discussion, which aimed to be an exchange ideas of how to include regional governments could be better involved in the next steps of the initiative. The hope on the part of many regional governments is that an integrated marine topic might still be included on the list of KIC topics, or, at the very least, an opportunity is opened to allow an integrated maritime topic to be proposed as part of a competitive search for new topics. The participants concluded that there was a will to find a structural means of linking regional interests with the development of a MarineKIC. Meetings will now take place with CPMR to find a precise model to enable interested regional governments to participate formally in the future of the MarineKIC Initiative. A group of 15 MarineKIC supporting organizations met on September 19th for an informal strategy meeting in the Enterprise Ireland Office in Brussels. The aim was to discuss the initiative’s next steps, given that it looks quite possible that the European Parliament will recommend that the EIT conduct a competitive call for topics sometime after 2014. The participating partners concluded that it was important to begin preparing and that the coming months will be a time to structure the MarineKIC Initiative more formally. To this end, a small group will prepare a plan of action, which will be distributed to all MarineKIC supporters in the coming months for debate and decision. This plan will include very specific actions and deadlines to identify criteria for membership and related issues. Entitled "A Green Economy in a Blue World", a new report published by the UN eargues that a worldwide transition to a low-carbon, resource-efficient green economy will not be possible unless the seas and oceans are a key part of these urgently needed transformations. The report covers the impacts and opportunities linked with shipping and fisheries to tourism marine-based renewable energies and agriculture. The synthesis report is available here. On June 1st Marisa Matias published her draft report on the EIT's Strategic Innovation Agenda, in which she proposes that a bottom-up approach should be developed in which areas other than the six proposed by the European Commission could also be the object of applications worth considering, such as a Marine KIC. Matias calls on the EIT to select future KICs in an open, transparent and competitive way, taking in consideration the priorities defined in Horizon 2020. The Matias Report is a milestone in opening the EIT to community-based initiatives seeking to take on the challenge of promoting innovation in the European economy. Given the enormous growth potential in the maritime economy and the enormous challenge of protecting our seas and oceans, a MarineKIC would position Europe as the leading actor in the sustainable development of the seas and oceans. At the invitation of MEPs Maria da Graça Carvalho and Maria do Céu Patrão Neves a lunch-time briefing was held in support of a marine KIC topic in the EIT's Strategic Innovation Agenda (SIA) on 30 May 2012 in the European Parliament Brussels. The goal of this briefing was to discuss the possibilities of including ‘Our Blue Future: The Integrated and Sustainable Development of the Seas and Oceans’ in the list of KIC topics to be funded by the EIT in the next financial framework. Participants included MEPs Reimer Böge, Ioannis Tsoukalas, Ana Miranda and EIT SIA Rapporteur Marisa Matias as well as representatives of Member States, the European Commission and MarineKIC Initiative partners. Emilio Fernández Suárez, Director, Campus do Mar Spain. 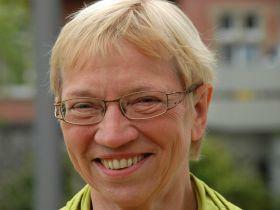 In the context of a debate about the future of the EIT in the Education and Culture Committee (CULT) of the European Parliament on April 25th, Helga Trüpel MEP, Vice‐Chair of the CULT Committee and Budget Speaker for the European Greens, spoke on the merits of a MarineKIC. She highlighted the importance of taking a socially and environmentally responsible approach to developing the maritime economy. 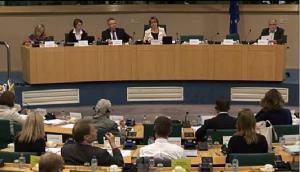 The debate is being translated by an English interpreter in the EP. MaFIG-UniOvi components (twenty in total) are professors and researchers of the University of Oviedo (UOV), which impart their teaching in the UOV’s Nautical College of Gijón (NCG). The NCG was the first nautical university college world certified by ISO-9002/94 rules in accordance with IMO STCW code. The certification was carried out by the Lloyd's Register and credited by UKAS in December, 19 2000. New MarineKIC Initiative brochure published. IDIMAR and Prodigy Consulting of the Balearic Islands join MarineKIC Initiative. IDIMAR is an association of companies and bodies focused on the promotion on the innovation in the sea-sector in the Balearic Islands. It was set up in response to the demand by companies in the Balearic maritime sector in the fields of development, promotion and dissemination of technological innovation.For more information, please click here. Prodigy is a consulting firm representing many marine interests and is a partner of the IDIMAR cluster. For more information, please click here. NEW! Minutes of the meeting published. Please click here. This seminar brought together representatives of the maritime communities, of European institutions, of national and regional authorities, to reflect on EU’s maritime priorities in the EU’s funding, notably through the Horizon 2020 Programme and the European Institute of Innovation and Technology (EIT). For programme and presentations please click here. Commissioner Damanaki, Deputy Director-General for Research Strohmeier, regional politicians and experts discussed the future of marine and maritime innovation in Europe at this event. The main focus was on the possibilities of giving marine research a more strategic orientation, notably through the Horizon 2020 Programme and the European Institute of Innovation and Technology (EIT). Approx. 100 representatives of maritime communities, European institutions, national and regional authorities, participated in the event. The seminar was co-organised by the Conference of Peripheral Maritime Regions of Europe (CPMR), Ifremer and the German Marine Research Consortium (KDM), with the support of Schleswig-Holstein, Pays de la Loire, Governo Regional dos Acores, the EU-Parliament Intergroup on Coastal Areas and MEP Gesine Meissner. 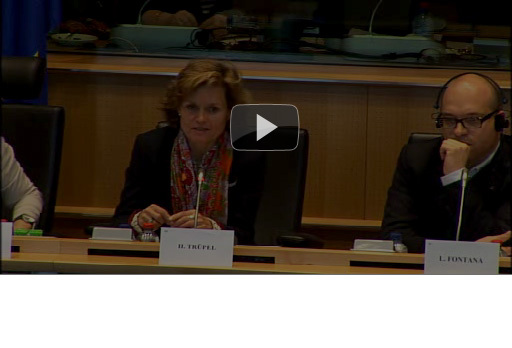 Presentations are available at the CPMR website. KPMG has generously offered to advise the MarineKIC Initiative in the development of a business strategy on a pro bono basis. The strategy will provide a concrete vision of how the innovation-driven maritime economy in Europe can be strengthened in the period 2014 to 2020. It will also make a business case for including a marine resources related topic in the EIT’s Strategic Innovation Agenda.The business strategy is expected to be published by late Autumn 2011. 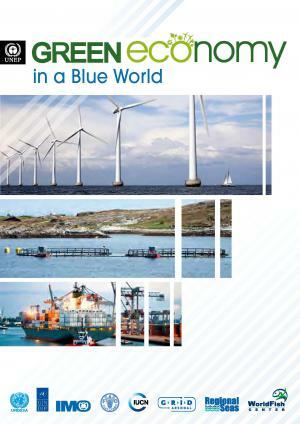 In a major address by Robert B. Zoellick, President of the World Bank Group, to the Board of Governors of the World Bank Group on 23 September 2011, the “Blue Economy” was identified as a key emerging issue on the horizon for the world economy. Marine South East (UK) is a business-led consortium developed to address the needs of the marine sector in the South East region. It was created to tackle the critical issues affecting marine businesses in the region and support the economic development of the marine sector in the South East. Marine Resource Processing - Sustainable processing and technology. The Ecole National Supérieur de Techniques Avancées Bretagne (ENSTA Bretagne) is a French national graduate engineering institute which offers three year engineering programmes to both civilian and military students. Located in Brest, one of Europe's preeminent centres for maritime science and technology, ENSTA teaches graduates to design, build and manage complex electronic and mechanical systems. For more information, please click here. To read the contribution please click here. 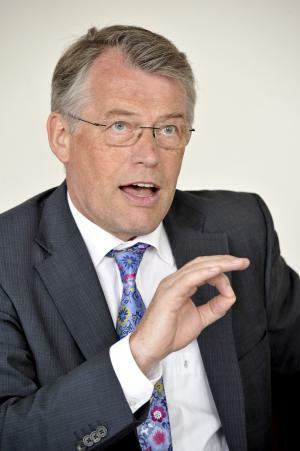 On the initiative of Heinz Maurus, State Secretary for European Affairs of the regional government of Schleswig-Holstein, the Committee of the Regions supported calls for the EIT to set-up a KIC ”in the near future on protection and sustainable use of marine resources. Such a KIC could cover a broad spectrum of scientific, technological, economic and educational activities in the spheres of biological and mineral resources, as well as energy, while taking account of environmental protection issues.” See CoR Opinion NAT-V-007 of 27 January 2011 on the The Development Of An Integrated Maritime Policy And Marine Knowledge 2020.